Serving the Valley and Beyond since 1987! Phone is the best way for us to schedule clients 802-496-7272. We will do our best to reply to emails but please allow a day or two. 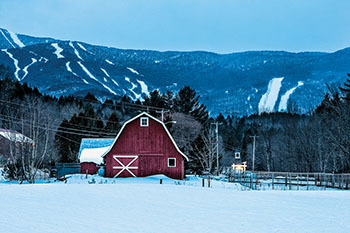 If you live in or visit Central Vermont and need a trusted veterinarian to care for your pets – look no further. 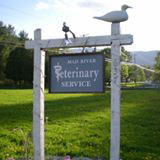 Mad River Veterinarian Dr. Karen Anderson is licensed in NY and VT to provide care for a variety of pets and animals. Your pets’ health and well-being are very important to our whole team, and we take every possible measure to give your animals the care they deserve while understanding the complexity of an animal’s treatment as it impacts the physical, emotional, and financial aspects of the providers. Mad River Veterinary Service is a full service animal care center and welcomes a variety of cases as well as animal patients in need of routine medical, surgical, and dental care. Veterinarian Dr. Karen Anderson has over 30 years of experience diagnosing, treating, and following up on serious conditions as well as offering regular pet wellness care. Beyond first rate pet care, we make our clinic comfortable and calm and the surrounding gardens and large fenced field provide a safe, relaxing place to walk with or without an animal pre or post exam. We are happy to offer a number of resources that enable you to learn about how to take better care of your pets. Please feel free to browse our site, particularly the informational articles. The best veterinary care for animals is ongoing nutrition and problem prevention, so becoming knowledgeable about preventative pet care is essential to the ongoing success of your animal’s health. If you have any questions call (802) 496-7272 and we’ll get back to you as soon as possible. Our office is easily located on Route 17 in Fayston not far from the intersection of Rts 100 and 17 in Waitsfield – and you can find directions on our Contact Us page! We also welcome you to subscribe to our newsletter, which is created especially for the animals that live in and visit the Mad River Valley. Mad River Veterinary Service … your “other family doctor”. With over 30 years of experience in compassionate care for the creatures in our lives who we call a part of our family, Dr. K is an integral part of the fabric of the Mad River Valley and the families that reside here. In addition, those who call this special place a “home away from home” also utilize her services since her down to earth approach of both caring and educating is a unique blend that benefits both the animal and the owner. Stephanie is a Vermont local with a BA in Studio Art, minor in Environmental Studies, from UVM. She has lived with animals her entire life and held several jobs working with horses, caring for them and teaching riding lessons. She spent the last four years working for a non-profit animal rescue in northern Vermont. Now, Stephanie is enjoying learning as much as possible in the veterinary field and helping care for the pets in her community. Steph loves coming home to her three cats, having bonfires, hiking and swimming in rivers with her three dogs. Julie is attempting to see how much veterinary assisting she can get away with while simultaneously raising three children, a husband and 2 rescue newfs; a newf and a semi-newf in the Richmond, VT area. She has degrees from Middlebury College (BA), and Northern Arizona University (MA) and the Animal Behavior College. She has been moving salamanders to safety along the dirt roads of New England since she was knee high to a grasshopper, advocating for animals since the beginning. She has worked for the Vermont Amphibian and Reptile Atlas Project, the Navajo Nation Environmental Consulting Project, and the Utah State Anthropologist. Currently she has her own in home studio arts business, No Straight Lines, writes and illustrates articles for the Green Mountain Animal Defenders, and walks dogs for the Chittenden County Humane Society. She skiis to live and is happy to have a learning opportunity in the Mad River with Mad River Veterinary Service! Originally from Maine, Sue is quite the nurturing dog lover. She really enjoys interacting with all canines but is especially fond of shepherds and labs. When Sue isn't caring for our boarding clients she can be found pursuing her passions of sailing, gardening, skiing, and spending time with her grandchildren. I'm a ball of energy most of the time... but I can often be found curled up like a cat sleeping while other canines and felines visit my human. "Dr. Anderson went above and beyond, more than any other vet I have visited, to help us and our cat. I am simply amazed and grateful for her kindness, thoughtfulness, and help!"